How Alive do you feel? What is it that is so magical and healing about human to human contact...touch? 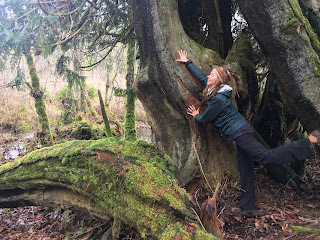 From around the world throughout time there have been many techniques of touching, working the body, touching the energy field and each have theories and traditional teachings on how all this works. 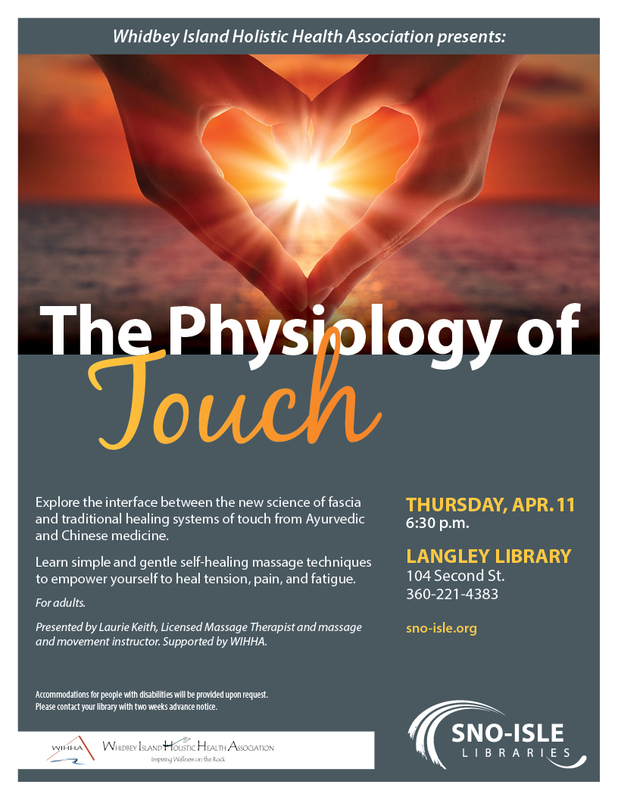 Come hear an introduction to the new science on Fascia and how that illuminates some of the ancient touch traditions and provides our western minds something more to relate to...that may help inform our touch and bring another level of healing possibilities to it! Please join me at the Langley Library , 104 Second Street, Langley, WA Thursday at 6:30 for some explorations on the Physiology of Touch. We will be applying some of our knowledge so you will most likely be walking away with greater body presence/relaxation/healing plus some new tools for self care and care of others.